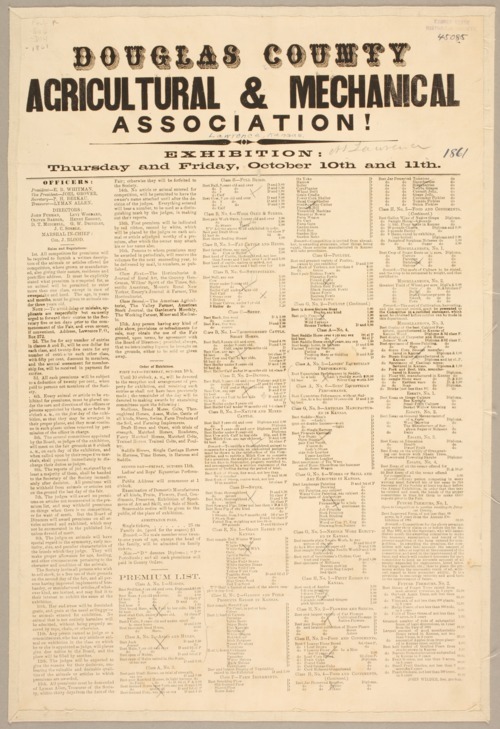 A fair poster promoting the Douglas County exhibition being held on October 10-11, 1861. A list of officers of the Douglas County Agricultural and Mechanical Association is included along with a list of the exhibitions and premiums. Douglas County Agricultural and Mechanical Association!